You’re looking for best golf rangefinder reviews ? You have come to the right place. If you play golf, but don’t use a rangefinder, then you are putting yourself at a disadvantage. Some people think that a rangefinder isn’t fair and takes away from the game itself, but that couldn’t be further from the truth. Professionals and amateurs alike use this device whether they are playing a practice round or in a tournament. To use a golf rangefinder, all you have to do is point it at a target and it will show you the distance to that target. Most people use it to focus in on the flagstick, so they know how far it is to the hole. But you can also focus on water hazards, bunkers and other objects so you know the distance to trouble spots on the course. Golf is a difficult game, but you can take a lot of the guesswork out of it when you use a good rangefinder! Not all rangefinders are created equally. Some provide basic functions, while others will show you a lot more. Here are some of the best golf rangefinder that we analyzed to help you decide which one is best for you. If you’re looking for a reliable rangefinder that won’t break the bank, I don’t think you’ll find a better product than the TecTecTec VPRO500 . TecTecTec isn’t one of the most popular brands when it comes to rangefinders, but that doesn’t mean that it isn’t a quality product. 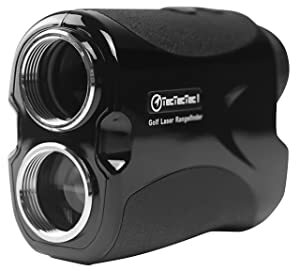 It gives any golfer exactly what they need in a rangefinder, including an accurate distance of +/- one yard up to 540 yards, 6x magnification, Pinsensor Technology and a crystal clear image. The one thing that stood out to me when using this device was the almost instantaneous yardage when it locked on to the target. The Pinsensor Technology is great on this device and it’s easy for beginners and experienced golfers alike to use. You can feel confident that you’re getting the right distance, whether it’s a flagstick, sand trap, water hazard or anything else on the course. The only downfall that I noticed is that it is a little difficult to keep steady when you aren’t bracing it against the cart or something else. Other than that, there really isn’t anything wrong with the TecTecTec VPRO500 and it is great for all skill levels. There is no doubt about it that the Bushnell Tour v3 has really improved my game. There is no more guessing at distances or using course distance markers that are very inaccurate. The more you pay for a golf rangefinder, the better piece of equipment that you’ll get. The Bushnell Tour V3 is no exception. It has just about everything you could ever ask for in a rangefinder, including pinseeker with jolt technology, accuracy within one yard from a distance of 300 yards, 5x magnification and SCAN mode. What makes this product stand out among the rest is the award-winning pinseeker technology with jolt. This allows you to zoom in on a target and you’ll feel a slight vibration when the rangefinder locks into your target. I’ve never felt more confident that I have the exact distance than when I feel the small jolt telling me that the distance is exactly to the target I’m aiming for. The SCAN mode is also convenient if you want to scan the terrain to see if there is a hill or a dip in the landscape. As you’re scanning, you will get a continuous distance reading so you won’t have to stop and wait for the device to catch up with you. You may think that all of these features have to make it illegal to use, but it’s actually approved for tournament play. You definitely won’t be selling yourself short with the Bushnell Tour V3, and you’ll feel like a professional with the added confidence that it gives you with your golf game. Nikon is widely regarded as a worldwide leader when it comes to the optics industry. You may not find a better value anywhere else when it comes to this particular device. It has all the features of the top-of-the-line devices, but it is sold at a cheaper price. No matter if you’re a scratch golfer or if you are just starting out, this product is a great option. You will enjoy accurate readings of plus or minus one yard at up to 550-feet and 6x magnification with this unit. But what makes it unique is its First Target Priority Mode. When you’re on the golf course, there are a lot of targets that you could focus on. Sometimes finding the flagstick and getting an accurate reading can be a challenge. But with the First Target Priority Mode, the rangefinder will display the distance to the flagstick, no matter how many trees or other objects are in the background. You’ll never have to guess whether the distance shown is to the flag or another object. You can also activate the scan feature with eight seconds of continuous scanning, just in case you have hazards that you want to get the distance to at different points. And on top of everything else, it is weatherproof, so you won’t have to worry about it if you’re playing in damp or other undesirable conditions. No matter if you’re on the tee box or getting ready to hit your approach shot, you’ll always have the confidence that you have the distance correct with the Nikon Coolshot 20. You can trust in this brand, and this product as it comes with a one-year warranty. Excellent customer support is a testament to the attention to detail you can expect from this product. This device is the most inexpensive one on our list, and it also has the fewest features. You will still enjoy 6x magnification, a scan mode and accuracy of +/- one yard. If you are aiming at a reflective target, you can get accurate readings up to 500 yards. While this is a decent rangefinder for the price, it takes some practice to become confident that it’s giving you accurate readings. You’ll probably have to have another rangefinder when you’re practicing with it to make sure that the distance is the same. With that said, it can be difficult to get the exact distance on a small object, like a flagstick, because it tends to focus on the larger objects. Once you get the hang of it and learn how to keep the rangefinder steady, you will get better at locating the right distance. There aren’t a lot of bells and whistles to the Wildgame Innovations Halo XRT, but you can still use it out on the golf course and driving range. 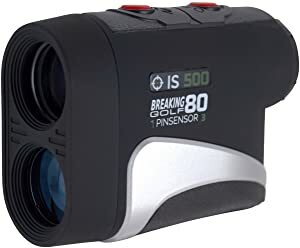 Since it doesn’t have the best technology that a lot of other golf rangefinders have, it may take you a little longer to use. That’s something to keep in mind if you are playing with a group of people or in a tournament where you have to keep up a steady pace. Overall, the rangefinder works well, but there are other ones out there that are easier to use. UPDATE : We have just added 5 new best golf rangefinder reviews for you. Lets go. The Bushnell Pro X7 Jolt Slope is among the advanced models in the gold rangefinders market today. It is yet another very powerful Pro rangefinder, which features a jolt technology and an incredible range of up to 1 mile. Bushnell upgraded their game by putting up a whole new generation of ESP with vivid display technology, which will dramatically cut the glare, increase contrast, improve clarity and help with light diffusion. This rangefinder is made from a very high-quality material featuring elastic eye hook on top of the regular zip closure which will make it easier to access the rangefinder on the course. In addition, this device is not as small as some modern ones, but due to the value of service it provides, it will not pose any significant problem. It is easy to setup in just 10 minutes, regardless of whether you are a pro or just learning to use a rangefinder. Ranging is accurate and fast, especially with the E.S.P. (Extreme Speed Precision) technology. More importantly, the optics are clear and bright in any light conditions. There is even a vibration feature, which will confirm target acquisition. The image is simply fantastic with a balance of both magnification power and clarity. It worked equally efficient in all lightning conditions making tricky shots easier to judge. Pro X7 is very easy to use, and its ergonomic design will make ranging far off targets a matter of clicking and aiming. The primary (and maybe only) downside of the Bushnell Pro X7 is its higher cost. But then again, all that extra power should be more expensive. However, among the users who have purchased this device, almost all have agreed that it is worth the investment. In addition, another complaint would be that we find this device to be somewhat bulky. With its widespread praise among both amateurs and professionals, the Bushnell Pro X7 earned its title being the most powerful rangefinder that you can buy on the market today. It has unparalleled range, speed, and magnification making it the standard of quality and performance by which all other models are being measured. If you are looking for the best performance in your next or first rangefinder, the Bushnell Pro X7 is worth the investment. Bushnell is well-known for being an leader in the golf industry when it comes to rangefinders and out of all models, this is their workhorse. The Bushnell Tour Z6 Jolt Rangefinder uses pin seeker technology, which will guarantee that the flagstick is always hit whenever you are searching for the correct distance. It offers a dynamic range with a six-time magnification, which should help you to see far off flagsticks easily. This model features a waterproof case, which should ensure that damage caused by water will never happen. Some golfers are serious about their game, and the weather conditions will certainly not stop the, so this is something they will much appreciate. In addition, it is a remarkably compact device, with a rubber exterior providing a better grip. Even despite its small size, the construction is still durable and, as we mentioned, waterproof which is great news for any climate conditions. In our tests, the Z6 was excellent at ranging a pin or hazard. We did not find any difficulties even against cluttered backdrops like bushes or dense tree lines. The results were accurate and fast, especially with the Bushnell’s Extreme Speed Precision (E.S.P.) technology. In addition, the JOLT vibrating technology was not just a nice perk. It really helped us to keep a steady lock on the target. Lastly, when the JOLT is combined with a one-button point-and-click operation, the result is a very natural interface. We find that the lightweight and small size of Bushnell Tour Z6 to be a somewhat negative quality. Though some would consider this an asset; we had some difficulty holding this device steady while we were aiming. Therefore, if you have unsteady hands, you may want to consider getting a larger or even a two-handed model. The Bushnell Tour Z6 Jolt Rangefinder has proven to hit all the right notes for users. It has a new and interesting technology, while still keeping high scores in essential categories such as range, accuracy and, of course, optics. All this certainly makes it our top pick for its durable yet compact build, outstanding performance and mid-range price point. If you are looking for a rangefinder which will provide you with an edge on the course, we recommend the Z6. 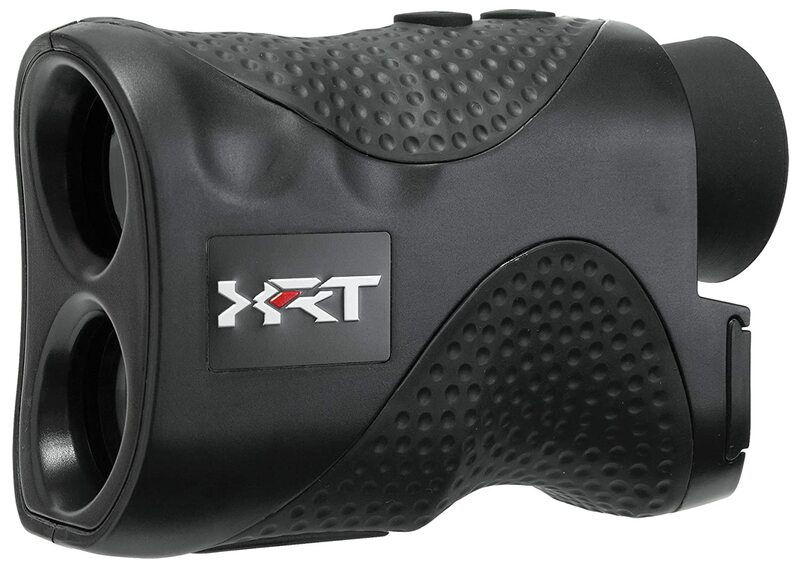 The TecTecTec VPRODLX Golf Rangefinder built its reputation on the VPRO 500, which came before and has some new features that make it slightly better to its predecessor. 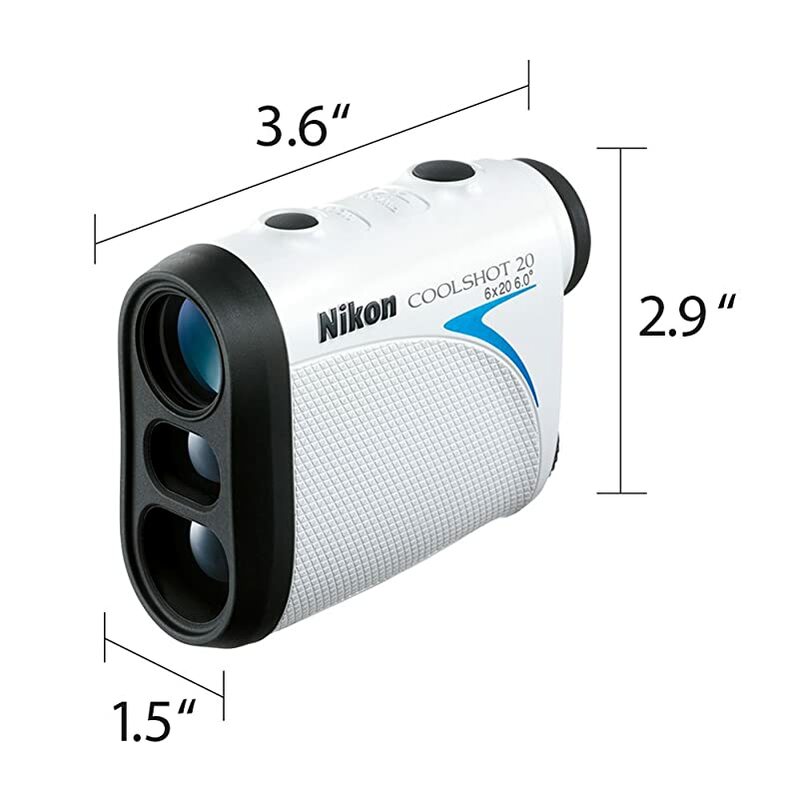 Its accuracy and long-range measurement along with the Flag Seeker should impress any golf player since it is more sensitive compared to the other rangefinders. In addition, the company declares it waterproof and it has a long battery lifespan. This device has an extended measurement range, measuring anything between five and 600 yards very accurately. It is using a quite sensitive PinSensor technology, which should measure overlapping objects as well as the pin giving you accurate distance. The waterproof design and construction should protect it from the unfavorable weather conditions, which is a plus. The battery of this device is rechargeable, and you can use it for several rounds on the court without having to recharge. The advantages of the VPRODLX that we liked are its extended measurement range and accuracy. It can measure distances as far as 600 yards and still maintain an excellent accuracy, which is much better than what most other devices we compare today. After playing with it for a while, we experienced some issues when looping since we had to keep on switching to the Flag Seeker configuration. Next, steady hands are very appreciated when it comes to locking on target. Although it appears to be cheaper than some other devices, we still find it was somewhat expensive since there are other rangefinders on the market at the half of its price. While it builds its success of the VPRO 500 model, VPRODLX worked much better. Aesthetically, it is appealing which gave as a sign of a quality-made device. After spending some time getting used to the device, we concluded that this is one of the best rangefinders that you can buy on the market. However, it has a few shortcomings just like any other golf rangefinder device, but the advantages certainly beat these drawbacks. We find it to be ideal for any golfer who is in a need of a good golf rangefinder that won’t break the bank. The Bushnell Tour X Jolt Golf Laser GPS/Rangefinder is the successor of the Tour V3 Jolt Slope, and it has everything it offers and presumably more. It offers 6-times magnification and a switchable faceplate, which allows the user to switch between slope-adjusted distance readings and a USGA-conforming device. It also comes with Exchange technology that allows the usage of Slope and can be modified to be a tournament legal if the situation requires it. It was easy to interchange between competition and standard mode with its Exchange Technology. It features a Dual Display Technology, which will let you toggle between bright red or crisp black depending on the light conditions. The acquisition speed is very fast thanks to the E.S.P. 2 technology, and it can maintain very good accuracy. Although there are maybe other rangefinders with a better magnification compared to this device, it should be still sufficient in most conditions. The magnification ranges between five and 1.300 yards at the same time maintaining the good accuracy of 0.5+/- a yard. PinSeeker with Jolt Tech might feel somewhat strange at first, but once we got used to it, we started to like it. Lastly, just like other modern devices from Bushnell, the Tour X is equipped with short vibrating bursts, which will indicate that it is focused on the Pin. We have to say that the price of the Bushnell Tour X Jolt Laser GPS/Rangefinder is quite high. For its price, it is unforgivable that it lacks the tripod mount as well as the mount point for a lanyard. In addition, we find it to be somewhat heavier than we expected. Overall, with the Bushnell Tour X we managed to interchange between legally accepted unadjusted measurements and slope adjusted ones. Therefore, this makes this device perfect for use for training as well for competitions. There is also the option to change the text color between red and black to account for the lighting conditions, and we like it. However, the price is quite expensive and if this is not a deal-breaker for you, then you should try Tour X. 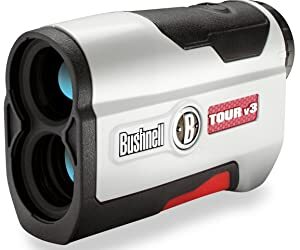 The Bushnell Tour V4 Rangefinder is also the successor of the Tour V3 but comes as a new, modified model of the current Bushnell’s assortment of lasers. Aside from a new design of the body and the use of a letter V, it includes PinSeeker with JOLT, which will make the device to vibrate when locked on to a target. It also has a 5-x magnification with accuracy up to one yard and range from five to 1.000 yards. It has a smaller body and one ounce less in weight than its predecessor. This rangefinder is held vertically just as all Bushnell models except the X7s. Its body has a rubber grip at the bottom as well as the top, easy-to-twist and adjust eyepiece and threaded battery door (battery is included). In addition, the laser is water resistant. However, it is not waterproof by any means. The device itself is average in size, and fortunately, the carry case is also included. The PinSeeker with Jolt Tech will allow you to locate the flag even if you do not see it and with a Jolt, it will vibrate in bursts when it locks on the pin. It is equipped with a CR2 3-Volt battery, which is rechargeable for continued use. However, it is tough to insert it into the device. We were happy to find that the distances we got with this device were very accurate with a Slope Technology. However, the 5X magnification did not seem like much, but the Fast Focus Feature enhanced it a bit. The Bushnell Tour V4 failed when it comes to magnification since the 5X magnification was not the best in our tests. As for the other drawbacks, we found that the slope feature might not be legal for some tournaments so this could be a major deal-breaker for some golfers. Furthermore, it requires steady and calm hands if you want it to work as intended. Bottom line, the Bushnell Tour V4 did well in our tests. It is ergonomically designed while also being very lightweight and compact. It has all the features it should in this price range especially compared to other Bushnell models with Slope technology and Pin Seeker with Jolt Tech. However, the 5X magnification was simply disappointing also requiring steady hands to operate the device. Nevertheless, there are a few drawbacks, but for this price tag, it is worth a shot. There are a lot of different features that you need to look for when shopping for a golf rangefinder. Some of these may be useful to other people, but not to you. A lot of that depends on the types of courses that you play at and how often you play. Here are some of the features that you can consider when shopping for one. What’s the point in buying a golf rangefinder that isn’t accurate? Most of them will claim to be accurate within at least two yards or fewer. If you find out that yours is off by more than that, then you should consider it defective and return it while it’s under the warranty. This is important to note if you play on longer courses. Some of the cheaper products won’t have any magnification, but some of them go as high as 7x magnification. Being able to zoom in on a target from a couple hundred yards away could be the difference between hitting your shot away from trouble and accidentally hitting it in the water. Try out different magnification levels so you can determine which is best for you. Most casual golfers don’t take the slope of the ground into consideration when measuring distances. Some golf rangefinders incorporate the slope in their measurements, but it’s important to note that these are not legal to use in tournament play. It is, however, one of the most useful features if you are playing a practice round so you know the difference between the actual distance with the elevation changes and the straight-line distance. Your golf game will be much more accurate and you will play more quickly if you have some sort of pinseeker technology. This feature will basically lock in a target for you and eliminate surrounding objects, like trees and hills. When you’re focusing on a flagstick, the pinseeker will give you a cue that it’s locked in to that target and nothing else, so you know you are getting an accurate reading. Different brands use different terms for this feature, but it’s the ability to lock into a target that you’re looking for. Sometimes you’ll actually need to go to a store and hold a rangefinder to determine if it’s the right size for you. You don’t want to get one that’s too big and bulky to put in your golf bag, but you also don’t want one that’s so small that it’s hard to find and hold when you’re using it. The wider the rangefinder is, the easier it will be to hold steady while you’re focusing in on an object. Experienced golfers know how to quickly find a target with the rangefinder, but beginners may struggle with this a little bit. It can be difficult to hold the rangefinder steady enough to lock in to a target, but that’s why the pinseeker technology is so important. Practice using a few different golf rangefinders, and if you have a hard time getting the distance to a particular target, then it may be best if you find another one. When it comes to golf rangefinders, you definitely get what you pay for. If you don’t want to spend a lot of money and just get the cheapest one you can find, then you will probably be frustrated for one reason or another. You can get a quality mid-range product for a price that won’t break the bank. These are generally pretty good for the average golfer. But if you have a low handicap and are accurate with your shots, then you owe it to yourself to spend a little more on one of the best rangefinders. Now that you know the basics and some advanced features of golf rangefinders, you can feel confident knowing that you will be buying the perfect one for your golf game. 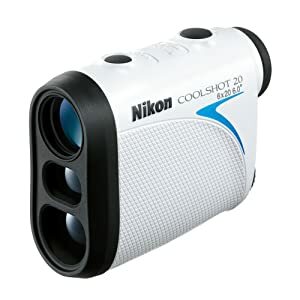 In my opinion, the Nikon Coolshot 20 Golf Laser Rangefinder tops the list of the best golf rangefinder that we’ve reviewed. It is a reputable brand that has a lot of the same features as some of the more expensive rangefinders, but at a much cheaper price. If there’s one thing I know for sure, it’s that every golfer needs to own a rangefinder if they want to improve their game. Since you have some good knowledge about the best rangefinder on the market, you are well on your way to improving your golf game. So don’t waste another minute and purchase the right product for you today! When it comes to golf rangefinders, you definitely get what you pay for. If you don’t want to spend a lot of money and just get the cheapest one you can find, then you will probably be frustrated for one reason or another. You can get a quality mid-range product for a price that won’t break the bank. TecTecTec VPRO500 is an amazing rangefinder to play golf and hunting. You can use this rangefinder of multipurpose use. You can play golf and hunting also used this rangefinder. This rangefinder allowed to all tournament. My name is Tomas who have a love with golf. I often spend at least 2 hours to play it every day after work time and teach my son 12 years old and 10 years old and daughter 6 years old with my beautiful wife to play golf on weekends.